Listen to recorded homilies (coming soon)! 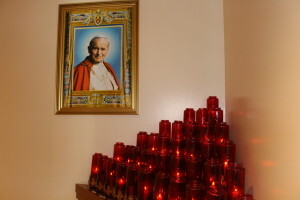 Prayed in the Adoration Chapel everyday at 3PM weather permitting. Located in the Convent, the Chapel is open 24 hours a day. The Adoration Chapel is closed from Saturday night midnight until 2PM Sunday afternoon during the Paschal Triduum during Holy Week, and follows a special schedule for some holidays (New Years, Easter, Memorial Day, 4th of July, Labor Day, Thanksgiving, and Christmas). Weather conditions may close the Chapel as well. Updates on closures and reopening or the Chapel can be found on the St Agnes Facebook page. 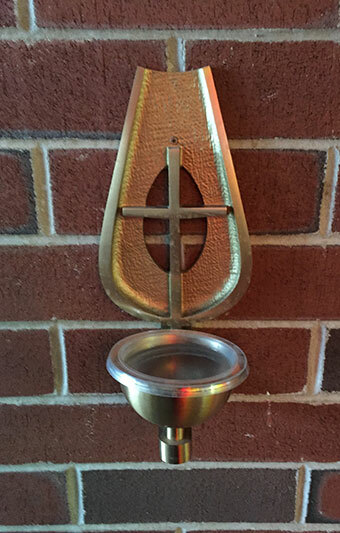 We urge parishioners who are seriously ill or facing surgery to receive the Sacrament of the Anointing of the Sick prior to admission to the hospital. They can arrange this by calling the office. Ministers Of Communion can bring Holy Communion to those confined to their home. Call the Parish Office to make arrangements.